One day after the presentation of the “Bridge” initiative to forge an alliance between SYRIZA and the country’s traditional centre-left forces, PM Alexis Tsipras in a public statement backed the effort by issuing an invitation “for the creation of a very broad alliance with all progressive forces, parties, political groupings, and citizens who view themselves as progressive, so as to avert in the next, crucial European [Parliament] elections the rise and advance of the extreme right in Europe”. The ambitions and plans of the PM to create a progressive political pole and alliance are legitimate, as long as they have substance, both on his side and on the side of those whom he is inviting. By all appearances, however, there is no fertile ground for such an initiative on either side. Moreover, it is irrational on the one hand to constantly blame the centre-left for all the sins of the world and on the other hand to invite its members to cooperate. 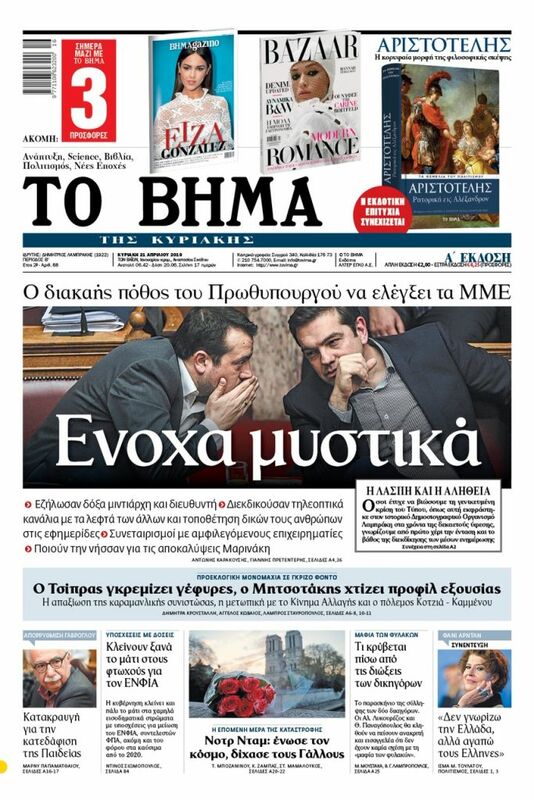 On nearly all the problems that confront the country SYRIZA showed no interest in cooperation. On the contrary, it leveled anything positive that had been accomplished in the past in fields such as education and it is targeting centre-left politicians with all possible means. The ruling party systematically undermines institutions, constantly tries to control the media, uses the judiciary as a tool, and attempts to marginalise and to morally and politically annihilate those who disagree with it. Grandiose rhetoric and bridges are fine, but they presuppose fitting political practices, which are nowhere to be seen. 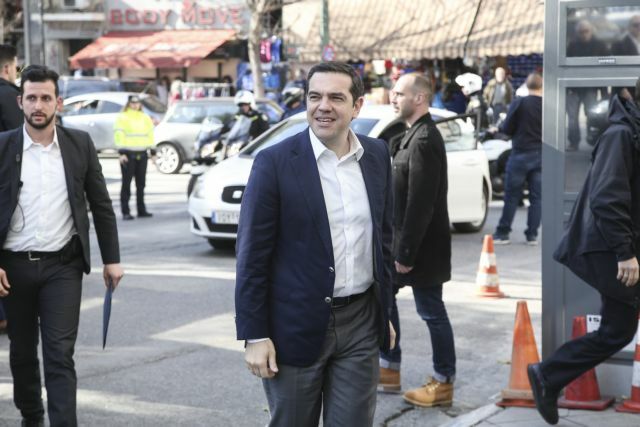 With the same ease that Mr. Tsipras governed with the populist right and still relies on it he now sees his coming electoral defeat and is trying to transform himself into a radical socialist. Without a shred of self-criticism and without ceasing his attacks on the centre-left he now wants to set up a progressive front. Citizens do not appear convinced by the PM’s Ovidian metamorphoses, and the forces and parties whose leader he aspires to lead do not either.